Jurors returned the guilty verdict Tuesday in the trial of 56-year-old Joseph Allen Maldonado-Passage. He was accused of trying to arrange the killing of Florida animal sanctuary founder Carole Baskin, who criticized his treatment of animals. Baskin wasn't harmed. 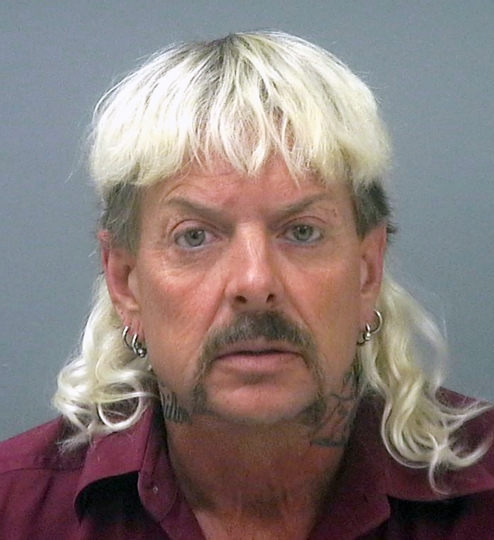 Maldonado-Passage, known as "Joe Exotic," was also accused of killing five tigers, and selling and offering to sell tiger cubs. He faces more than 20 years in prison. Joseph Allen Maldonado-Passage, better known as "Joe Exotic," is accused of trying to arrange the killing of Carole Baskin, founder of a Florida animal sanctuary who criticized his treatment of animals. Baskin wasn't harmed. He's also accused of killing five tigers in October 2017 and selling and offering to sell tiger cubs.